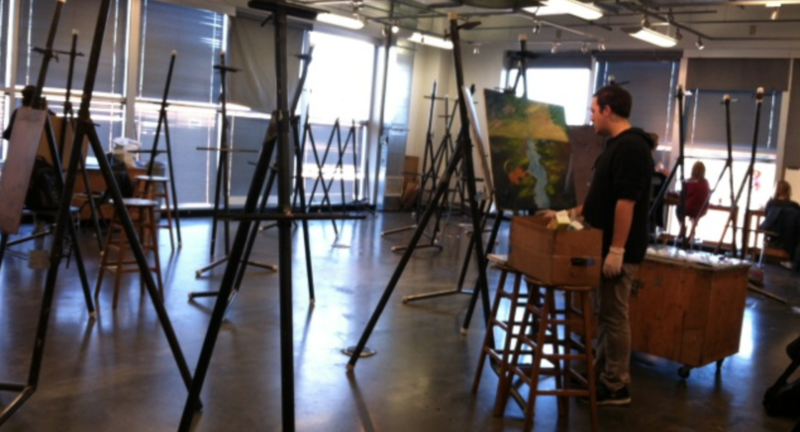 The Art Minor combines a general arts education with the development of studio skills. A minimum of 18 semester hours is required in each studio minor. Please refer to the Art portion of the Undergraduate Bulletin for more information. The Studio Art minor combines a general arts education with the development of studio skills. Coursework is done in Art History and Studio Art. The New Media and Design minor focuses on the development of technical skills and creative problem solving using a variety of digital methods. Students select from courses in digital video and photography, web design, graphic design, animation and related topics. The minor in Painting introduces students to the significant cornerstones of studio practice: visual literacy, aesthetic understanding, and technical skills. The curriculum offers a broad range of materials, techniques, and processes in its representational and non-representational approaches to art making. The Photography minor is dedicated to providing students with knowledge of digital, analog and alternative photographic processes. The Sculpture and Ceramics curriculum offers a broad range of courses in three-dimensional studies that expose students to fundamental precepts through advanced concepts and innovation in sculpture. The Printmaking and Drawing minor provides a comprehensive introduction to printmaking, drawing and mixed media that emphasizes innovation while sustaining traditions.